Going beyond the static couplet of state/society relations, this panel illustrates how African actors appropriate the 'blue economy' agenda and engage global maritime policies to disrupt and transform the governance of seas, oceans, and underwater resources across different spaces and scales. As 'blue growth' gains increasing traction world-wide, oceans and seas are at the fore of global capitalism. 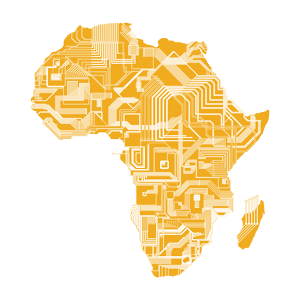 Harboring unique resources and multi-directional connections, Africa is no exception. This panel probes the governance, organization, and interrelation of these extractive circuits, which are largely multi-national in scope, capital and technology-intensive, and transform natural resources into commercial values. While policy regarding maritime spaces and resources is generally studied as state-centered, and international organizations afforded decisive influence, the African cases explored here insist on a different line of inquiry. Namely, they reveal the profound impact of private actors - whether local activists, technical experts, ordinary citizens, off-shore workers and sojourners, or moneyed agents of domestic and transnational networks -- who play key roles in shaping flows of capital and commodities and transforming regulatory norms. Disrupting the usual state/society dichotomies, the panel explores how differently positioned African actors appropriate and reshape global maritime policies to impact the governance of seas and oceans and their respective resource flows. Contributors will likewise map the territorial configuration of power driving 'blue growth' at different spaces and scales. Participants will address four key arenas of maritime governmental transformation: seaports, offshore extraction, security regimes and environmental regulation. Although from the perspective of integrated maritime governance, these fields are interwoven, they are subject to distinct policies and contradictions. Hence, panelists will both focus on discreet regulatory and maritime domains and analyze their interrelation in order to illuminate the complexity and interconnection of Africa's manifold blue regions and associated governing regimes.